You can file this under things I may have known before, but forgot and/or things I never knew you could do with Chrome tabs. Either one is fitting for this quick tip as this little tidbit is one of those tricks you may never have learned and, if you did, you may have forgotten all about it as I did. Thanks to a quick post over at Ars Technica, this little trick was brought back to memory for me and I figured you, dear reader, might also benefit. In the event that you don’t already know this, elements that can be selected throughout many UIs can be selected in groups. Take your files app, for instance: you can hold CTRL and select multiple items or hold SHIFT and select a range of items with just a couple clicks. 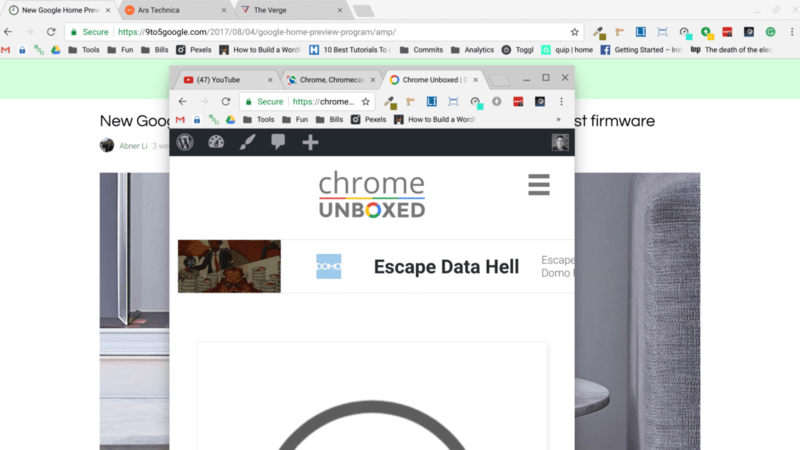 Most of our readers likely know this, but did you know that behavior works with Chrome tabs, too? That’s right, you can hold CTRL and select multiple tabs. After this, you can grab any of the selected tabs and move them around as a group. Likewise, if you click one tab, hold SHIFT, and then click another tab, all the tabs between are selected and can be moved as a group. Sure, this is not ground-breaking news. It isn’t even anything new. This is simply one of those tricks I totally forgot about and can use from time to time.